Our top selling FlexTuff® styles are manufactured on seamless knit liners that are flat dipped to reproduce the natural curved shape of the hand. As a result, workers benefit from less hand fatigue and greater productivity while performing detailed tasks to heavy duty jobs. 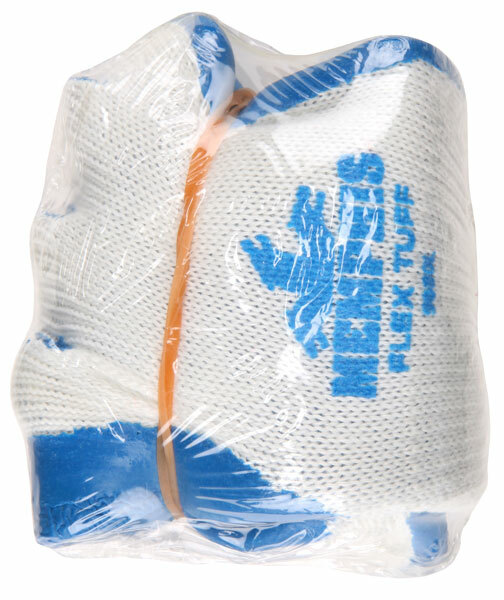 The FlexTuff®'s strong 50% cotton/50% polyester shell and crinkle finish blue latex coating provides excellent protection in many applications. (Non-Vending Packaged item - 9680).